The damaged wall at Gloucester Road, Bognor Regis, is to be fixed ‘as soon as possible’ according to Butlin’s resort director. Jeremy Pardey said: “Following a chat with the district council I have agreed to make the repairs to the wall ASAP. 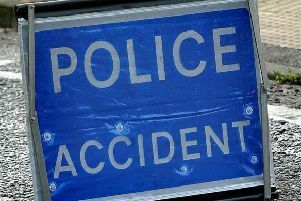 Police said the damage occurred on the evening of February 13 when a silver BMW car collided with it and lamp-post.